Acne tends to be thought of as a teenage skin problem, but that couldn’t be further from the truth. Many people well into their 40s still struggle with acne on a day to day basis. While acne is very common in teenagers and young adults, about 80% of the population suffers from acne at some point in their life. The skin specialists at Magnolia Medical & Aesthetics will help you find the most advanced and appropriate treatment to renew your complexion. Acne is a common condition characterized by blackheads, whiteheads and cysts. It affects the oily and hair-bearing areas such as the face, chest and back. Acne is caused by a combination of overactive oil glands, hormones and bacterial infection. 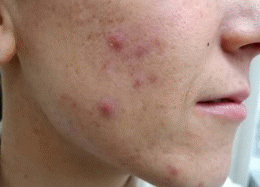 As with most skin conditions, acne can affect one’s confidence and cause low self-esteem. It can leave scarring both physically and emotionally. How Does Magnolia Medical & Aesthetics Treat Acne? There are a number of effective treatments available which reduce and prevent the activity of the acne. These treatments can stop the severe inflammation and pigmentation. Our acne treatments are designed to address the underlying problems of blocked pores, excessive oiliness, and inflammation, whilst at the same time improving the overall texture and resilience of your skin. 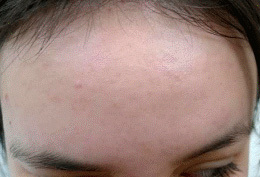 Whiteheads occur when the normal follicles become blocked with excess oil. The white bumps can be quite numerous. When whiteheads appear, the best tactic is to prevent them from becoming inflamed. Blackheads are whiteheads with pigmentation and the same guidelines apply as for whiteheads. Unfortunately, it can take longer for the appearance of blackheads to improve due to the pigmentation. Papules occur when the pore walls break, causing bigger pimples which tend to feel quit hard. Avoid the temptation to pick/squeeze the spots. Pustules are like papules, but filled with pus. The same advice as for papules applies. Generally a patient will have both papules and pustules, with the skin looking quite inflamed. Nodules are large bumps, which go deep into the skin. They can be inflamed and feel quite tender and generally only occur in the most serious cases. Cysts are like nodules, but filled with pus so they feel softer. 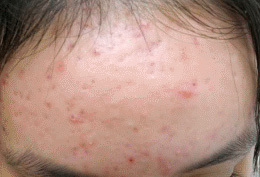 The patient is likely to have both nodules and cysts and this would generally be considered a severe case of acne.